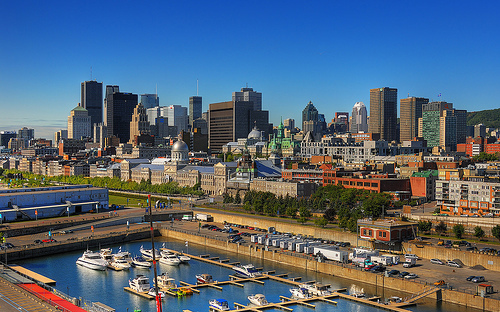 Cheap direct flights to Canada: Montreal for €407! If you are looking for cheap flights to Canada you can now book some sweet deals. 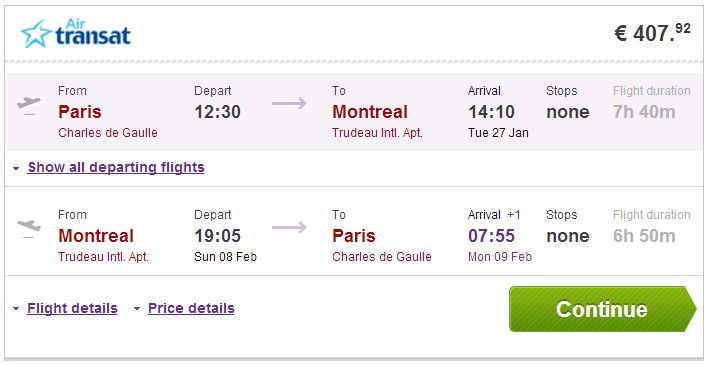 Return ticket from Paris to Montreal is now available for only €407! This is also direct flight with no stopovers so you don’t waste any time with transfers. Travel dates are in January and February. 20 kg luggage is included. Book your ticket through Vayama to get this price. Montreal is rather expensive town but you can find some nice deals. You can get cheapest hostels from approx €20 per night. Use our search engine to compare all the accommodation options online at once. « Cheap flights to South Africa: Johannesburg for only €407!